Grief is a funny emotion. Everyone suffers through it differently. Some hole up and shut everyone out, others act as if nothing ever happened and some blame and point the finger at those they care about the most. My hometown has a population of about 10,000 people; that’s not tiny, admittedly, but it’s small enough that if a murder happened here, everyone would be a suspect, too. This is the phenomenon we start to see unfold in the second episode of Gracepoint as grief over Danny Solano’s (Nikolas Filipovic) death begins to affect the townspeople. After Jack Reinhold (Nick Nolte) reveals crucial evidence that should have been brought to light earlier, the Solano family starts to believe everyone closest to them could be a suspect. 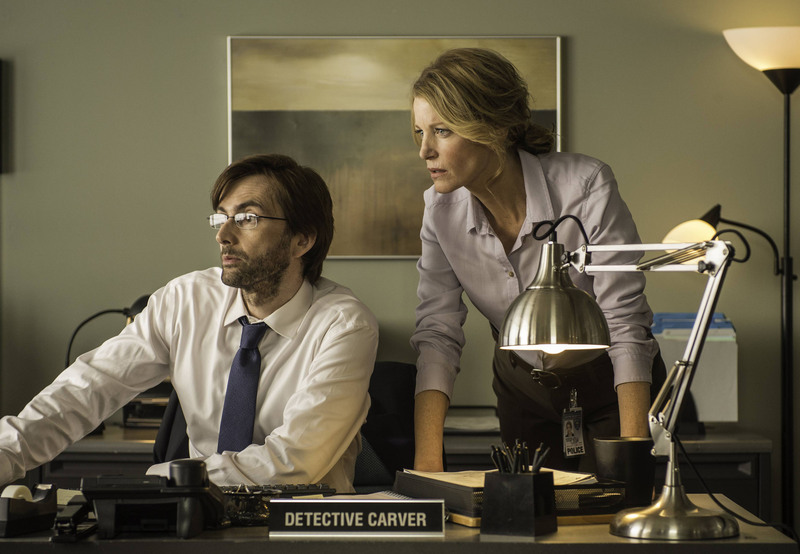 Carver (David Tennant) and Miller’s (Anna Gunn)investigation unearths lies and secrets no one believed a perfect haven like Gracepoint could hold. The town reveals itself to be a much dark place under its perfect facade. At the start of the episode, we see empty swings and abandoned playgrounds: normal haunts for the citizens of Gracepoint now made barren. Life has seemingly stopped everywhere except the Solano household. The family’s grief eats away at them. Beth (Virginia Kull) cannot get out of bed at first but when she does, she deals with her pain by smelling Danny’s clothes. Her anguish is palpable. The score enhances our understanding of her emotional turmoil at the loss of her only son. Beth’s inability to leave the house eventually gets to her. She fixates on the need for potato chips which prompts a subsequent trip to the grocery store. 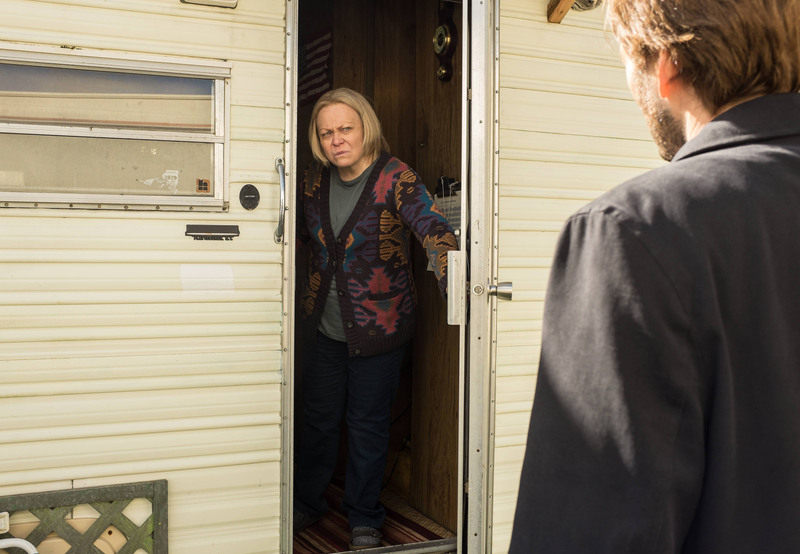 After several protests from her mother (Danny’s grandmother), Beth snaps and demands she stop smothering her. But as predicted, the grocery store proves to be to much for Beth. She spots a brand of cereal that her son used to enjoy and breaks down. The simple act of grocery shopping is too much for her to bear. 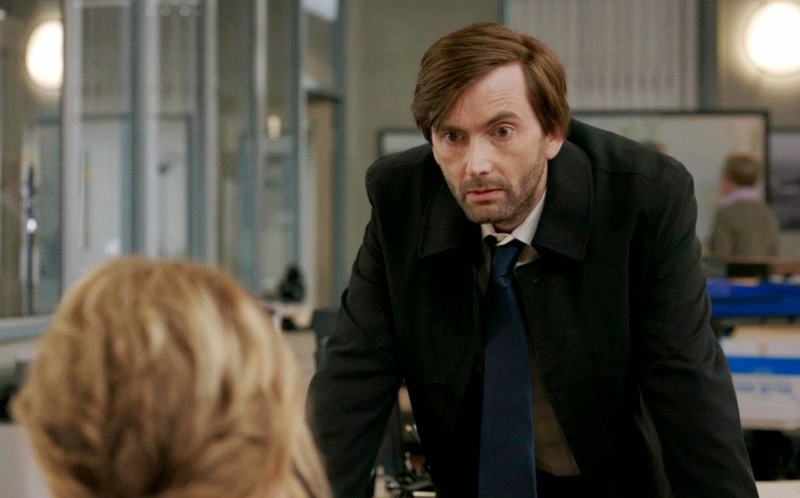 Like so many shows before it, Gracepoint has begun to introduce flashbacks with its second episodes. These sequences are extremely brief, interspersed among the present-day drama. I realize this technique can serve to keep the audience interested amid more pedestrian shot-reverse shot dialogue scenes. Still, I can’t help but feel that flashbacks have become something of a cliché. Fortunately, the rest of Gracepoint strikes its own path. Interwoven throughout the episode are shots of Gracepoint’s beach; the show’s title even appears over crashing waves. The sea is a motif representing tranquility and peace. Watching waves sweep in and out of shore is restorative. But as we saw in the first episode, director James Strong has already sullied this image with the dead body of a young boy. The ocean now represents two ideas in this show: life and death. Water can be both; it just depends how deep you look at it – not unlike the town of Gracepoint. Even better, moments of tension are left to speak for themselves. This is especially true in one scene where Carver interviews a suspect. Oftentimes in procedural shows, this is when the viewer might be subjected to overbearing, suspenseful music. But here, there is nothing to get in the way of Tennant’s performance. The tension between the two actors speaks for itself. Beller uses silence as a tool to capture our attention and it works. Anna Gunn and David Tennant are easily the best parts of this episode. Their contrasting approaches to the case create a fantastic dynamic. Miller has so much love for her hometown while Carver simply works the case. Of course their varied approaches end up working in their favor; Miller’s rapport with the townspeople gets them much more information than if Carver were allowed to stick to his “bad cop” routine. Despite this, Carver’s pragmatism eventually becomes too much for Miller to handle. When the two finally come to a head, their blow out makes for great television. I’m already sure that Gunn and Tennant, as well as the show itself, are likely to get Emmy nominations come awards season. 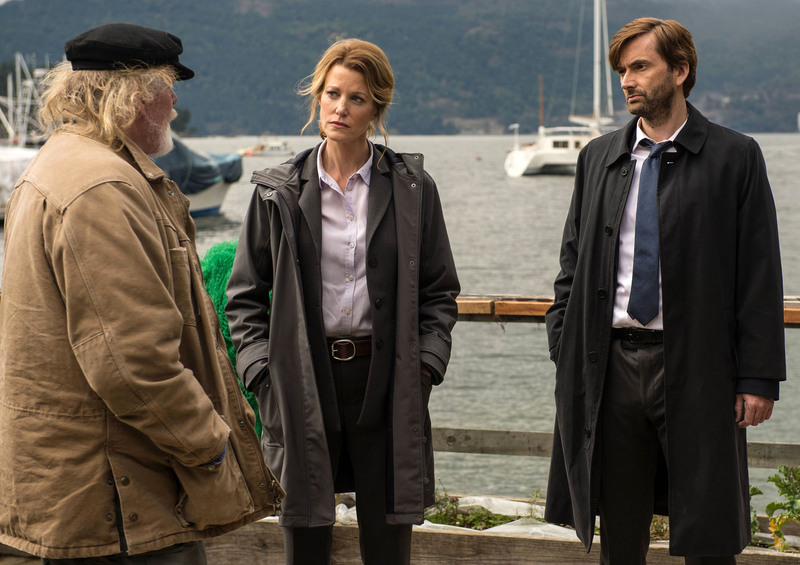 For now, one thing remains clear: Gracepoint and the hunt to find Danny’s killer are only just getting started.